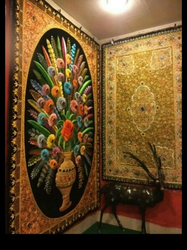 Size - 85X85 Inches (216x216 cm) Approx. Care Instruction : Gentle Hand Wash Separately In Cold Water, Dry In Shade. Good Luck White Elephant Tapestry Wall Hanging. 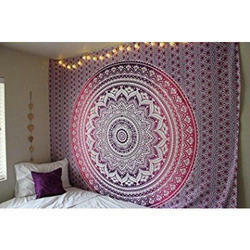 Good And reliable quality Good Luck White Elephant Tapestry Wall Hanging. Beautiful elephant and tree printed 100 % cotton bed cover , bedspraed, wall hanging.